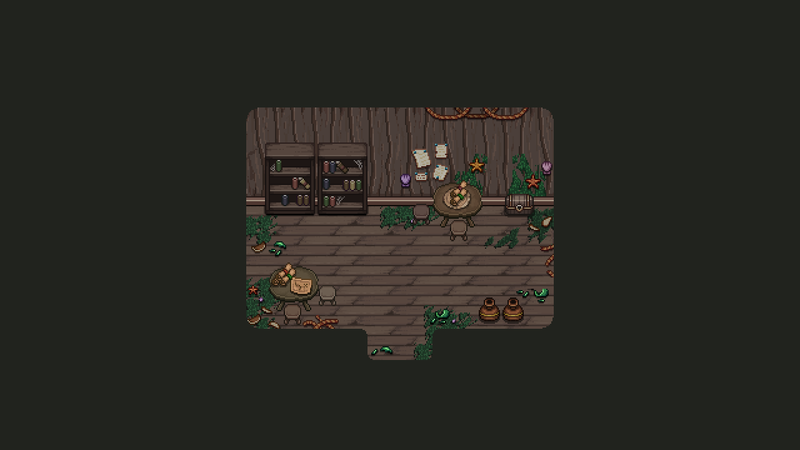 Remember this room from last week= One of the doors that lead out of this room will be hidden until you complete the puzzle, so to hide it and give the room a bit more character I’ve been making a couple of shelves and decorations for them! Once you complete the puzzle, the shelf on the right will slide across the floor and reveal the door behind it! Next up, there’s the room that’s waiting inside the one we just finished. This is a room with some maps and notes, and also a key that will lead you to the next floor! Another thing we’ve been working on lately is a special encounter / mini boss type of deal featuring…. a fridge! 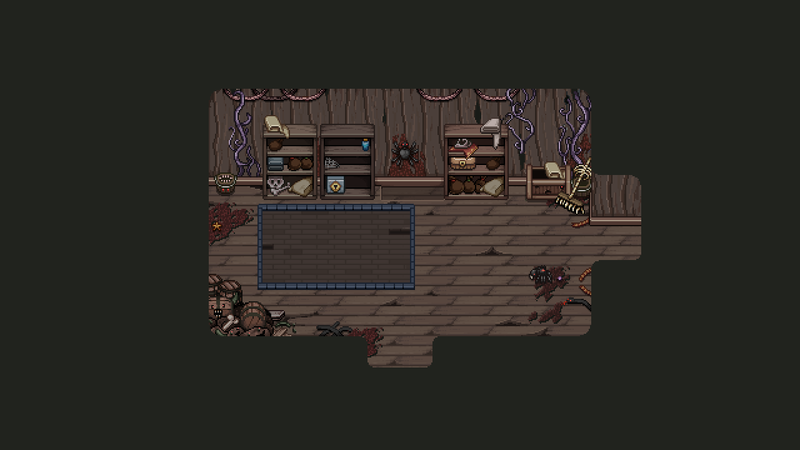 Previously, we talked about the kitchen area of the ship being a bullet hell challenge, but seeing as the boss already uses a lot of bullet hell mechanics we thought we’d spice things up a bit by doing something slightly different. Ice attacks! We’re already quite satisfied with this encounter as it is right now, so all we gotta do now is give it some proper graphics. Posted by Secrets of Grindea at 2019/03/25. Tags: animation, environment, game design, gif, Weekly Recap. You could make rotten versions of the veggies from the farm come out of the fridge for the “weaker” jumps where ice doesn’t come out. Easy enemies that make it just a tad bit more annoying.